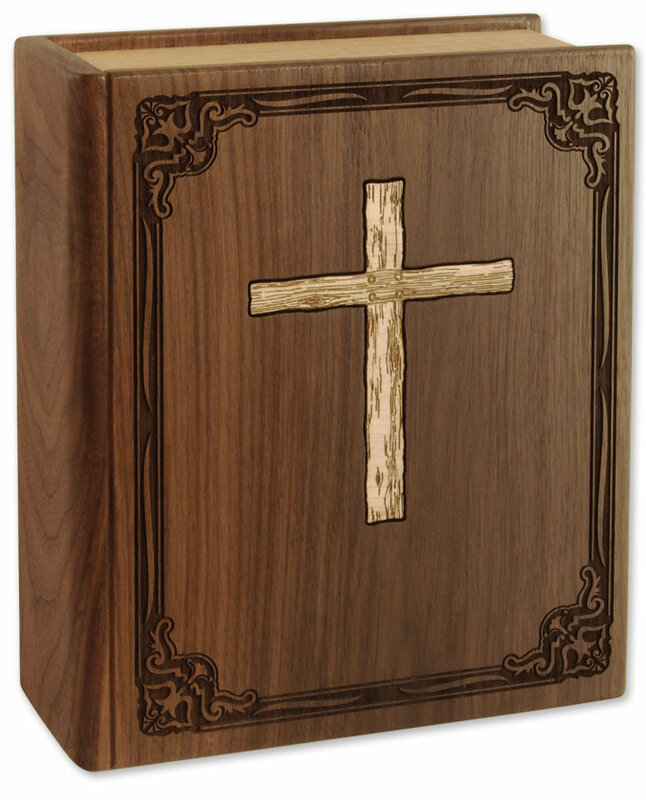 Featuring a finely detailed book urn in solid Mahogany with a laser engraved border on the front. This beautiful urn will last for generations. This urn has one opening and one compartment so that the cremains of two people can be comingled if that is their wish; otherwise, you can place two separate bags of cremains in the urn. It can hold the ashes of two adults who were less than six feet tall, with a total combined healthy weight of less than 400 pounds. Bottom opening plate (when book is standing) attaches with screws. This urn can be engraved on the front and/or spine. We can engrave six lines on the front of the urn but please limit engraving to only four lines on the spine of the urn. 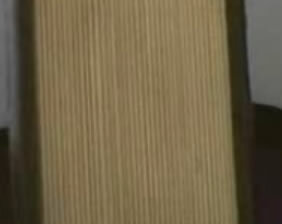 Engraving on the spine usually runs vertical, from the top of the book to the bottom of the book, like a book title. However, engraving position on the spine is left up to the engraver. 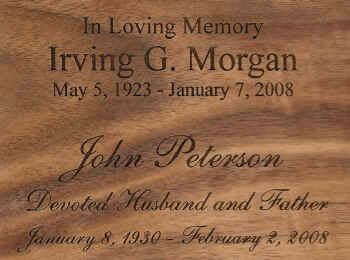 If you want more engraving, please call for a price quote. Please limit engraving to no more than 35 spaces per line. Check engraving information to be sure spelling, punctuation, capitalization, and dates are correct. Engraving will be done exactly as submitted. If you would like to see an engraving proof prior to the urn being engraved, there is an extra charge of $15 for each proof. Usually ships in 3-4 business days, even for expedited orders.